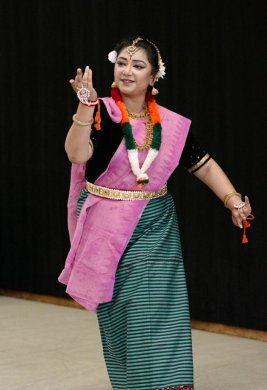 Manipuri Dance Visions - Institute of Manipuri Dance presented “Dance Homage” - Celebration of Manipuri dance in North America commemorating the birth centenary of Guru Bipin Singh (legendary master of Manipuri dance) on August 25, 2018 in Studio One, Barnard College, Columbia University. 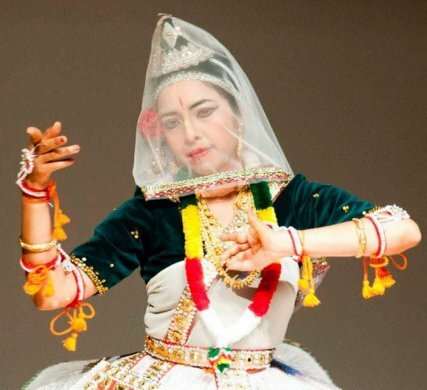 The event was co-sponsored by Prof. Uttara Asha Coorlawala, professor of dance department, Barnard College, Columbia University. 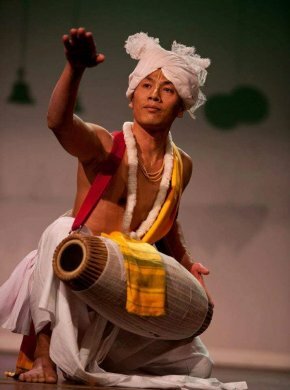 Three generations of Guru Bipin Singh’s disciples came together to perform and pay tribute to this Manipuri dance icon who became a legend in his life time. 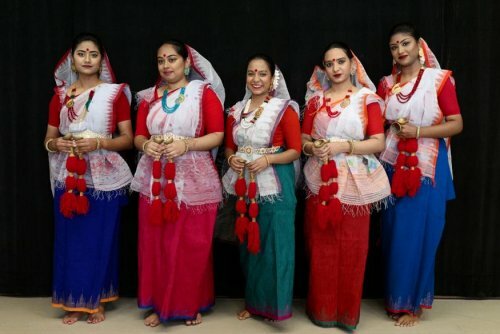 Performers were Sohini Ray, Sanjib Bhattacharya, Jagannath Lairenjam, (direct disciples of Guru Bipin Singh), Krishnakali Dasgupta (grand disciple who studied with Poushali Chatterjee and Sohini Ray) and Annie Ferdous (grand disciple who studied with Shantibala Devi in Dhaka) and her students from the Bangladesh Institute of Performing Arts (great grand disciples) in Queens, New York including Taseen Ferdous, Faroza Joty, Zarrin Maisha, Apiya Jahan Pompi and Tanjeela Newaz. 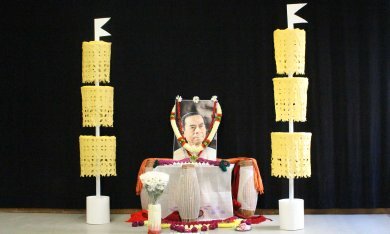 Guru Darshana Jhaveri's DVD on bhangi parengs was released ceremonially. 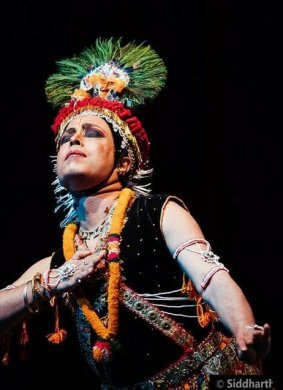 Several luminaries of the New York dance world like Rajika Puri, Jonathan Hollander, Uttara Asha Coorlawala and Parijat Desai graced the occasion as guests of honor. Several members of the local Manipuri community extended their helping hands. Dipu Singha is credited for the sets. Jasmine Rashid served as the master of ceremony. Several letters of blessings from Darshana Jhaveri, Kalavati Devi, Dr. Sunil Kothari, Laily Basu and Christel Stevens blessed the function. The dance program showcased Radharoopvarnan by Krishnakali Dasgupta, Sakshat darshan by Sohini Ray, Krira prabandha by Sanjib Bhattacharya, pung cholom by Jagannath Lairenjam, mridang vadan by Sohini, Sanjib and Krishnakali on pung and Jagannath on kartal, and also a dance group number with manjira by students of Annie Ferdous. Program brochure contained a separate insert about Guru Bipin Singh including his photos, a full biography and a rare quote published in 1979 in the book “Guru Bipin Singh” written by the late Nayana Jhaveri.